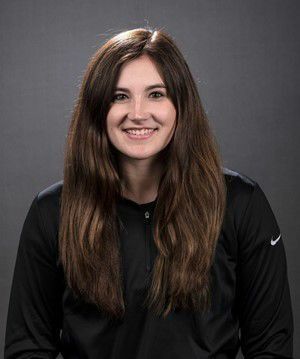 INDIANAPOLIS (AP) — Megan Gustafson again turned the Big Ten Tournament into her personal showcase. This time, she left as the undisputed winner. The two-time conference player of the year scored 30 points, grabbed 17 rebounds and scored the last five points Friday to help the No. 10 Iowa Hawkeyes pull away late for a 70-61 victory over Indiana — the first quarterfinal victory of her career. With Gustafson trying to check off one of the few remaining items on her to-do list — a tourney title — she could be pretty hard to stop this weekend. The school’s career scoring leader extended her conference record for double-doubles to 83 while matching her own single-season record at Iowa (28). And one year after scoring a single-game tourney record 48 points in a loss to Minnesota, Gustafson now has the Hawkeyes (24-6) one win from their first championship game appearance since 2014 and two wins from their first tourney crown since 2001. As long as Gustafson is in the middle, anything is possible, as Indiana (20-12) discovered. The 6-foot-3 senior was 11 of 19 from the field and 8 of 9 at the free-throw line. She matched the fifth-highest single-game rebounding total in tournament history and had four blocks, all in the first half, and four assists. And when she wasn’t padding the stat line, her mere presence made a difference. Eventually, the combination proved too much for the Hoosiers, who must now wait anxiously to see if they make the NCAA Tournament. Iowa coach Lisa Bluder didn’t feel that way either after losing in Bloomington two weeks ago. The Hoosiers traded jabs with Gustafson & Co. the entire game and led 54-53 when Ali Patberg completed a three-point play with 5:20 to go. Patberg scored 25 to lead the Hoosiers. But Gustafson’s defensive rebound led to Tania Davis’ go-ahead 3-pointer with 4:11 left. Gustafson’s screen on the ensuing possession freed up Kathleen Doyle for a mid-range jumper, and then Gustafson made two free throws to close out a 7-0 run that gave Iowa a 60-53 lead with 2:28 left. The Hoosiers never got closer than four again, and Gustafson sealed it by making five of six free throws in the final 32 seconds. “She (Gustafson) has three, sometimes more people around her all the time and she’s still able to put up those numbers,” Bluder said. INDIANA (20-12) — Royster 0-2 0-0 0, Wise 3-10 2-2 9, Patberg 8-16 6-6 25, Penn 2-11 0-0 5, Yeaney 1-5 0-0 2, Gulbe 2-4 0-0 5, Marchese 1-2 0-0 2, Berger 6-13 1-3 13, Totals 23-63 9-11 61. 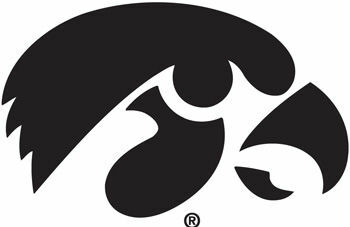 IOWA (24-6) — Stewart 4-6 1-2 9, Gustafson 11-19 8-9 30, Davis 2-5 2-2 8, Doyle 2-9 0-0 5, Meyer 4-11 0-0 12, Czinano 2-2 0-0 4, Ollinger 0-2 0-0 0, Sevillian 1-3 0-0 2, Totals 26-57 11-13 70. 3-point goals — Indiana 6-18 (Wise 1-5, Patberg 3-4, Penn 1-6, Yeaney 0-1, Gulbe 1-1, Berger 0-1), Iowa 7-16 (Davis 2-3, Doyle 1-3, Meyer 4-9, Sevillian 0-1). Assists — Indiana 11 (Yeaney 4), Iowa 21 (Doyle 6). Fouled out — none. Rebounds — Indiana 32 (Wise 10), Iowa 39 (Gustafson 17). Total fouls — Indiana 16, Iowa 10. INDIANA (20-12) -- Royster 0-2 0-0 0, Wise 3-10 2-2 9, Patberg 8-16 6-6 25, Penn 2-11 0-0 5, Yeaney 1-5 0-0 2, Gulbe 2-4 0-0 5, Marchese 1-2 0-0 2, Berger 6-13 1-3 13, Totals 23-63 9-11 61. IOWA (24-6) -- Stewart 4-6 1-2 9, Gustafson 11-19 8-9 30, Davis 2-5 2-2 8, Doyle 2-9 0-0 5, Meyer 4-11 0-0 12, Czinano 2-2 0-0 4, Ollinger 0-2 0-0 0, Sevillian 1-3 0-0 2, Totals 26-57 11-13 70. 3-point goals -- Indiana 6-18 (Wise 1-5, Patberg 3-4, Penn 1-6, Yeaney 0-1, Gulbe 1-1, Berger 0-1), Iowa 7-16 (Davis 2-3, Doyle 1-3, Meyer 4-9, Sevillian 0-1). Assists -- Indiana 11 (Yeaney 4), Iowa 21 (Doyle 6). Fouled out -- none. Rebounds -- Indiana 32 (Wise 10), Iowa 39 (Gustafson 17). Total fouls -- Indiana 16, Iowa 10.